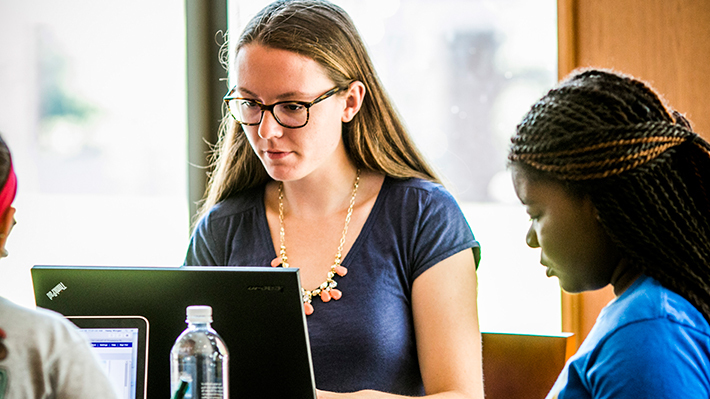 The online Bachelor of Science in Business Administration degree offered by LeBow College of Business is a degree completion program with distinguished accreditation by AACSB International - the highest standard of achievement for business schools worldwide. The program provides a broad business education that introduces students to all functional areas of business, building quantitative knowledge and developing an understanding of skills essential to today’s global organizations. The business administration curriculum includes a wide array of courses designed to teach students to analyze information and communicate ideas effectively, while working to understand the economic, social and legal systems in which business operates. Currently LeBow only offers a major in general business within the BS in Business Administration online degree program. Explore the curriculum. The required residency is offered once a year during spring term and will consist of course content online as of the beginning term, and throughout the term, as well as a four-day visit to our Center City campus. The residency provides students with a practical framework for career planning through the use of career assessments, interactive exercises and personal reflections. Students will investigate viable career paths, analyze internal and external motivators, and enhance their communication, leadership and presentation skills through an online simulation, electronic portfolio and in class presentations. Students will be eligible to take BUSN 112 either in their junior or senior year and will be notified nine months in advance to prepare to be on campus. For this professional dancer, director and entrepreneur, an online BS in Business Administration from Drexel LeBow provided a path for his future.